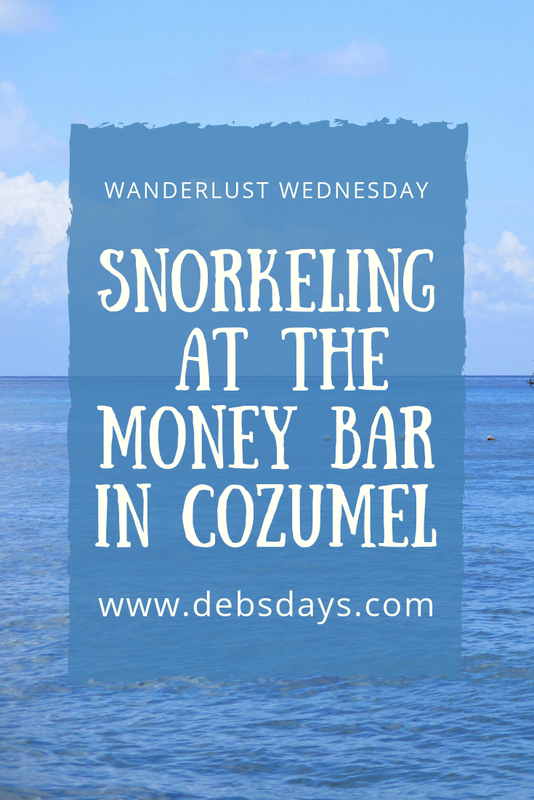 It's Wanderlust Wednesday and today we're talking about snorkeling at the Money Bar in Cozumel, Mexico. I'm a snorkeler. 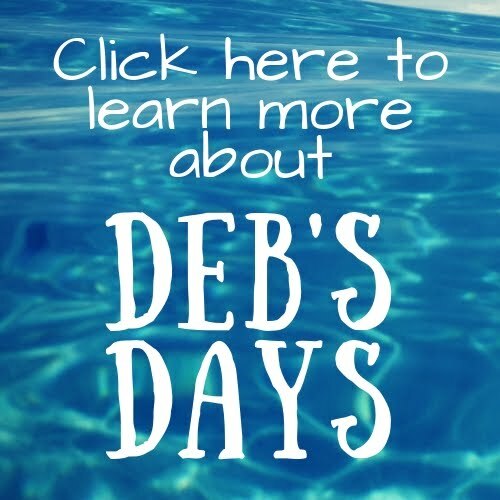 I first learned to snorkel in the beginner's group on a snorkel excursion in Belize. I fell in love with it and spent the next year practicing my newly learned skill. A year later I went back to Belize and re-did the same excursion - in the advanced group. Now I definitely consider myself an experienced and advanced snorkeler. The more time I can get in the water, the better. So whenever I can get to a snorkeling spot by myself, without another group around, I take advantage of it. One of the places where that can happen is in Cozumel. 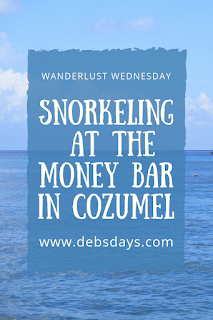 The Money Bar Beach Club is a short taxi ride from the Cozumel cruise port and fits the bill. They have tasty food and tasty drinks. But the snorkeling is the stand out. While there's not much of a beach, they do have both lounge chairs and tables in the sand. And some great snorkeling. Even the snorkel boats come out to the area. But there is no need to pay someone else to take you out there. Just take the stairs down into the water. You'll see plenty of fish - and few people. Snorkel until your heart's content.